Enroll as a nurse. Graduate as a leader. The nursing workforce in hospitals is expected to grow by 36% in the coming years. The federal government also predicts that nursing will become the top occupation in terms of job growth through 2020. This means there’s never been a better time to further your career as a nurse — or to study nursing at Duquesne University. 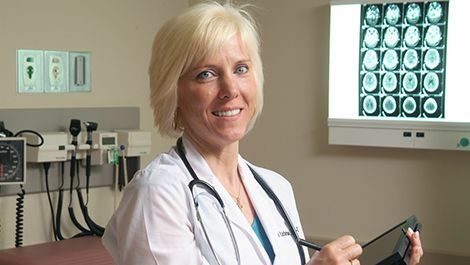 Why choose Duquesne for your online nursing degree? Duquesne University, with its long tradition of academic excellence and community service, is a widely recognized pioneer in online graduate nursing education. Our students and faculty are passionate about advancing the practice of nursing and serious about making a difference in the world. And now you can join them. Learn from nursing leaders and researchers. Study online with us, and the first thing you’ll notice is the high caliber of instruction. That’s because the faculty who lead our online nursing programs are among the best in their fields. They exemplify the highest ideals of the teacher-scholar, and they place as much emphasis on your achievements as on their own. They’ll also know you by name. Benefit from rigorous, specialized instruction. The way nurses are prepared at Duquesne University stands apart from traditional approaches to nursing education. Our innovative instructional methods are based on the Synergy Model, developed by the American Association of Critical-Care Nurses. Adopting this model helps us equip you with a wide range of clinical competencies, ensuring that you’ll graduate with a full complement of essential knowledge and skills. Prepare to set new standards in service and care. You care about helping others. It’s a defining part of your life. And we’re here to support that. That’s why our online nursing programs are structured to help turn compassionate, motivated people like you into the best nurses you can be. Remaining true to our school’s values and mission, we offer a rich online learning environment where evidence-based nursing, critical thinking and intellectual curiosity go hand-in-hand with ethical practice, community service and a commitment to social justice. Choose the convenience of online learning. You’re making a choice to further your nursing career. And we’re making it as convenient for you as possible. 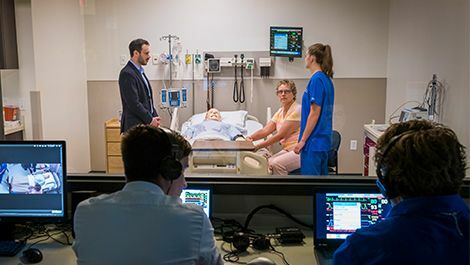 The Duquesne University School of Nursing is an early adopter and innovator in online graduate nursing education. 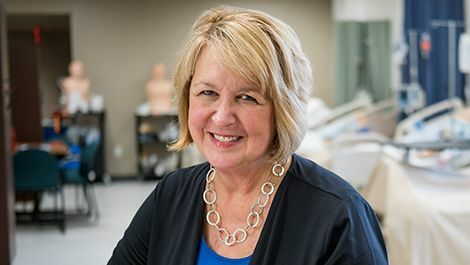 We were the first in the nation to offer a completely online PhD in Nursing, and we continue to offer working nurses like you the chance to advance your career. Our online programs are designed so you can complete coursework anywhere on your own schedule. Experience a new level of student support. Earning your nursing degree online with Duquesne means that you’ll benefit from individual attention and unmatched support. 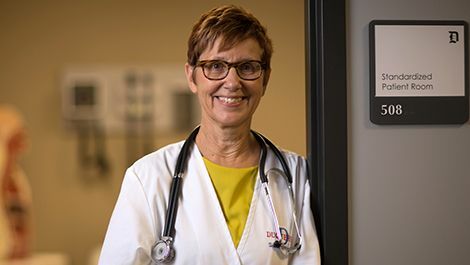 Once you’re accepted into one of our online nursing programs, you’ll be assigned a faculty mentor who will assist you in the completion of a program plan. Which nursing degree is right for you? 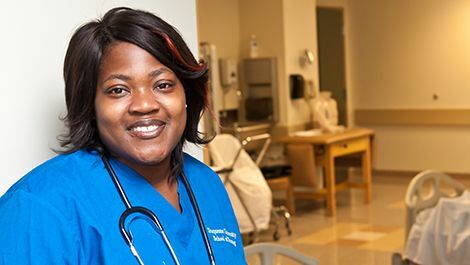 If you’ve earned a diploma in nursing or an associate degree in nursing (ADN), we offer a flexible RN-BSN program — 100% online. It combines academic theory with real-world practice to impart the specialized knowledge you need to thrive on the front lines and prepare for nursing leadership. 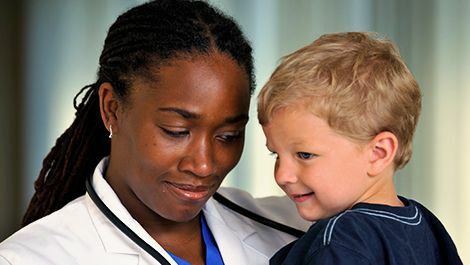 In today’s healthcare environment, family nurse practitioners operate with more responsibility and greater autonomy than ever before. 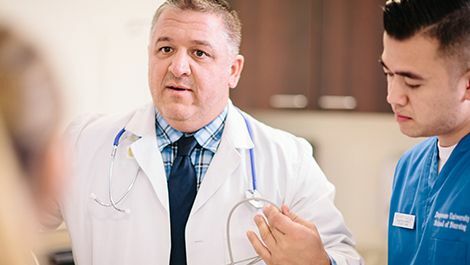 With our online MSN-FNP, you can develop the skills to diagnose illnesses, conduct examinations and provide care to patients at any age — and in any healthcare setting. Forensic nursing is a fast-growing, niche field of study. It requires highly skilled, deeply committed practitioners with the specialized expertise to care for crime victims and teach others how to do the same. Choose this program, and you can gain the expertise to function not only as a practitioner in the field, but also as a leader in this emerging specialty area. Why should you learn to leverage the latest innovations in nursing education? Because doing so can prepare you to excel as an educator in any type of learning environment — from classrooms and clinical settings to the virtual environments of labs, simulations and online instruction. You’ve devoted your career to serving others as an advanced-practice nurse. Now it’s time to elevate patient care and improve outcomes through evidence-based practice. Gain the higher-level credential needed to lead industry change and position yourself for advancement. You can shape the future of nursing practice. There’s no such thing as a one-size-fits-all treatment plan. And since people experience stages of life differently, it means that they’ll respond to treatment differently, too. This program will build upon your existing knowledge and prepare you to care for patients of all ages — from pediatric to geriatric. Whether your patient was violently attacked or sexually assaulted, it’s important to know the type of care they need. This program empowers you to act as an advocate for victims and equips you with the tools to prosecute the perpetrators. You’ll learn how to use forensic science and medical analysis to build strong legal defenses that impact patient recovery. Quality teachers create quality nurses. And right now, there’s a growing demand for both. Together, we can change that. This program is designed for nurse educators by nurse education leaders. You’ll learn how to build a curriculum that’s innovative and incorporates trends from healthcare’s evolving landscape. 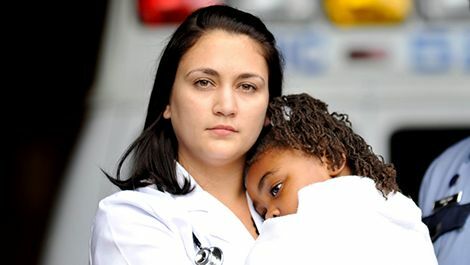 You’ll do more than prepare the next generation of nurses, you’ll inspire them. Duquesne’s PhD in Nursing is research-focused and designed to prepare you for a lifetime of intellectual inquiry and creative scholarship. 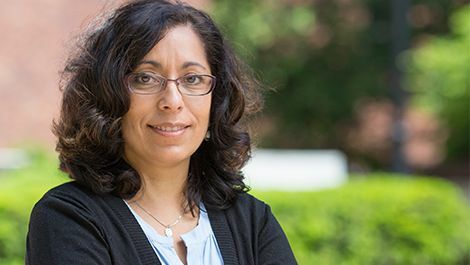 The program’s curriculum reflects not only the national trends in nursing, but also the faculty research agenda — including vulnerable and underserved populations. You, along with nurses across the nation, overcome ethical challenges on a daily basis — balancing patient needs versus wants. It’s why patients and their families trust you to make medical decisions for them. This program analyzes the relationship between healthcare and ethics to equip you with answers.